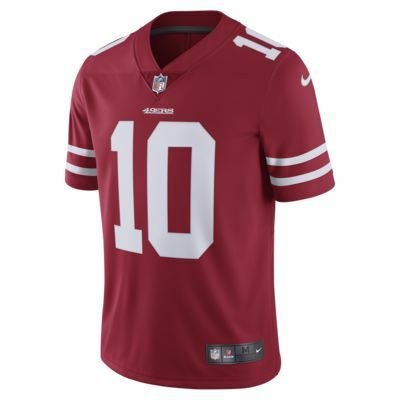 The NFL San Francisco 49ers Limited Men's Football Jersey delivers unparalleled fit and style with premium authentic details for fans who command attention, at the stadium or on the street. Dri-FIT Technology helps you stay dry and comfortable. 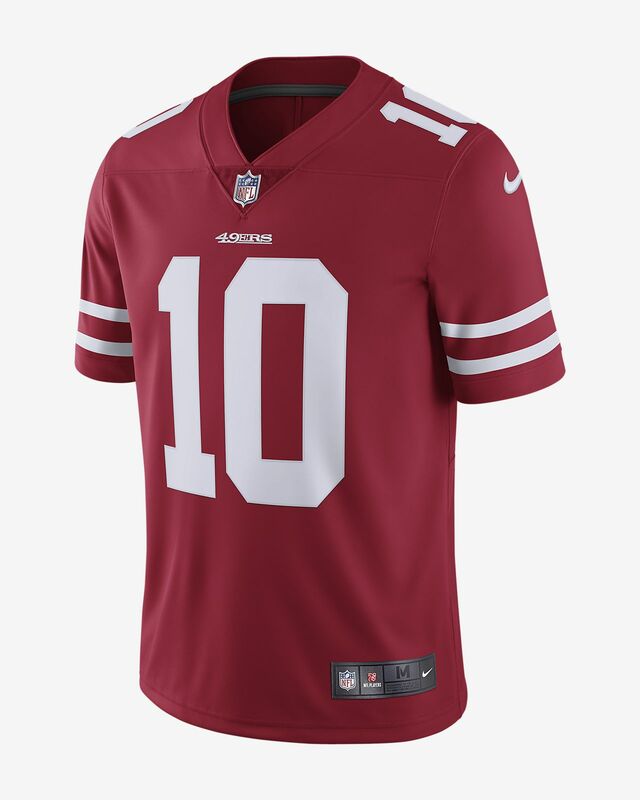 The NFL San Francisco 49ers Limited Men&apos;s Football Jersey delivers unparalleled fit and style with premium authentic details for fans who command attention, at the stadium or on the street. Dri-FIT Technology helps you stay dry and comfortable.